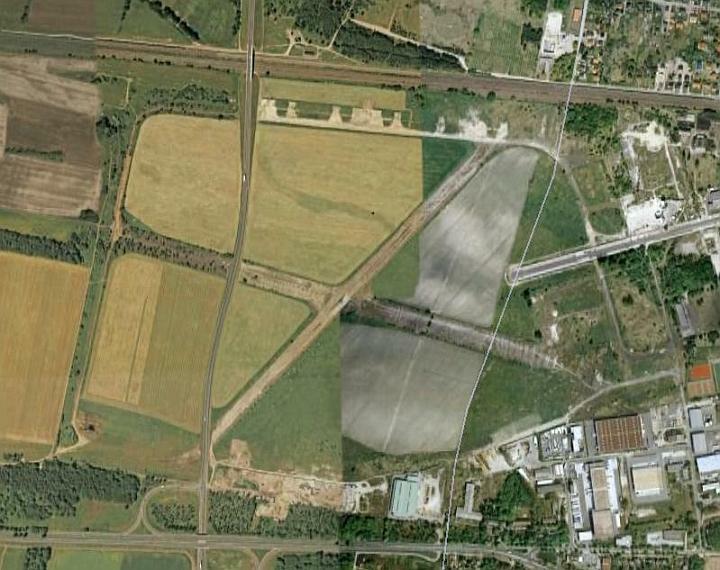 Airfield Berlin-Staaken (german: Flugplatz Berlin-Staaken, russian: Аэродром Берлин Штакен) was an airfield on the west side of Berlin in Germany. 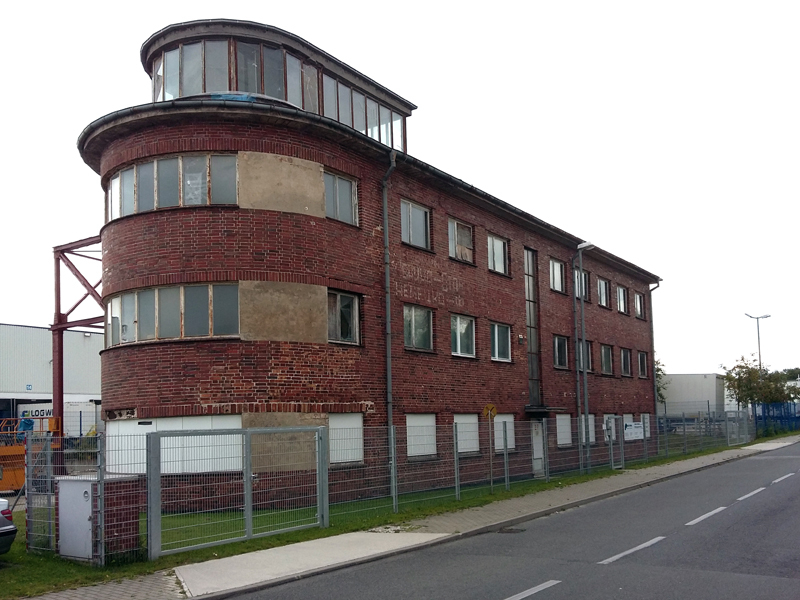 The airfield began as Luftschiffbau Zeppelin GmbH started a new airship plant on a field near Staaken in an atempt to construct more airships for the German War Ministry (german: Kriegsministerium). 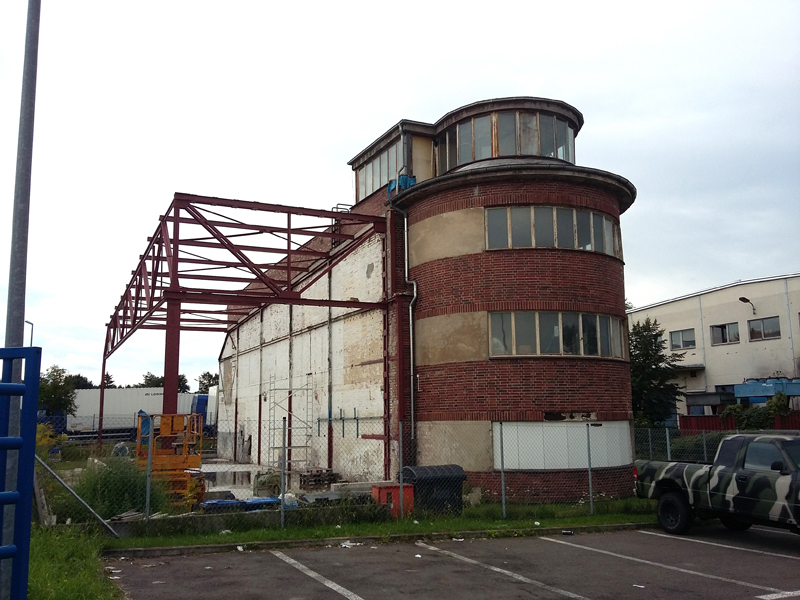 The plant started on 9 July 1915, and the first of 12 airships built during World War I left the plant on 9 November 1916. As the peace treaty of 1918 did not allow Germany to build new airships or aircraft, work came to a halt. 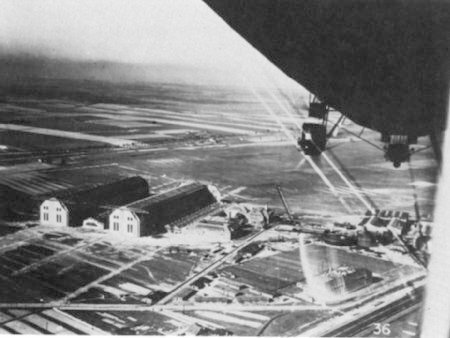 Other businesses began using the facility, including an airship service (using airship LZ120) to Friedrichshafen between August and December 1919. In december 1922 aircraft services between London and Berlin began, but as Tempelhof was more suitable for these flights, Staaken became the airfield that would serve the translatlantic route with airships. 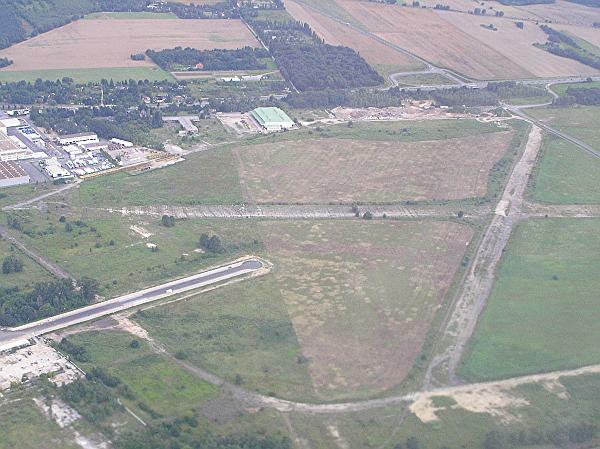 The airfield was bought by the city of Berlin in 1929, bringing back aircraft to the airfield. Lufthansa used the facility to train pilots and to repair aircraft. Landing of "Graf Zeppelin" to the new anchormast in Staaken, November 1928. The airships anchoring to the Staaken anchormast, was the first of its kind in Germany (Bundesarchiv, via Wikimedia). 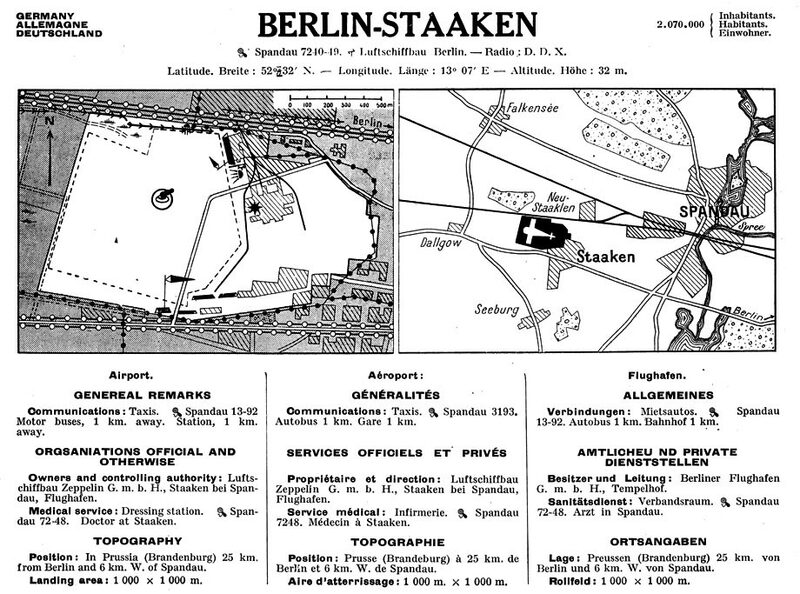 Map of Berlin Staaken airfield in 1931 (PENNULA.de). During the summer Olympics of 1936 glider flying became a demonstration sport and the flights took place from Staaken. In 1938 Berlin-Staaken was the starting point of the first land-based transatlantic flight, flying a Focke-Wulf Fw200 Condor to Floyd Bennet Field in New York in 24 hours, 56 minutes and 12 seconds. At the same time the airfield was also used for State visits. 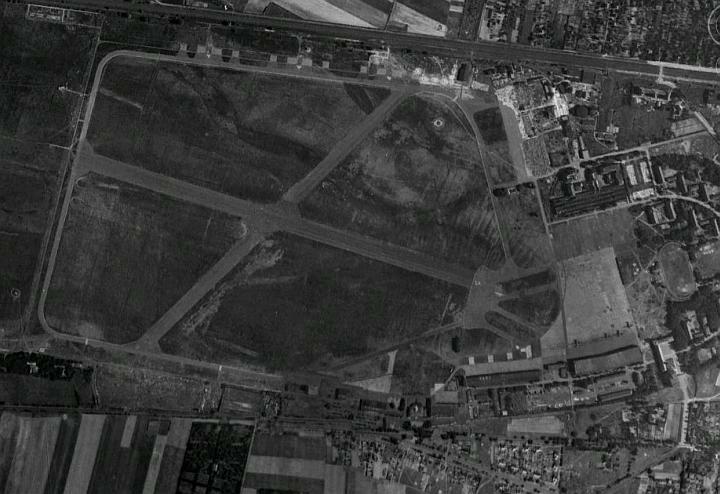 After the war the airfield was used by the Red Army Air Force for several years. Noteworthy was a midair collision between a Staaken-based Yak-3 and a BEA Vickers VC.1 en route to Gatow in 1948. 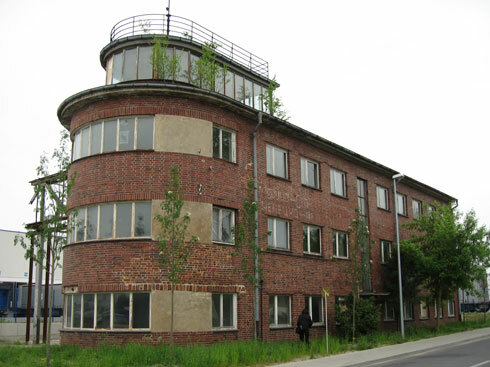 When the Red Air Force left, some of its buildings were used as a hospital and the field was used to store road construction materials. Aerial view of Staaken in December 1953 when it was used by the Red Army. Some Yaks can be seen on the platform (Google Earth). 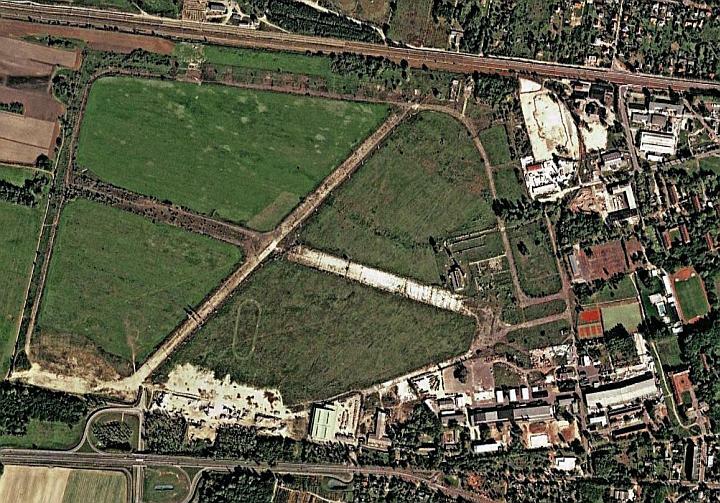 Since the German Reunification investors were sought to turn the terrain into an industrial park. 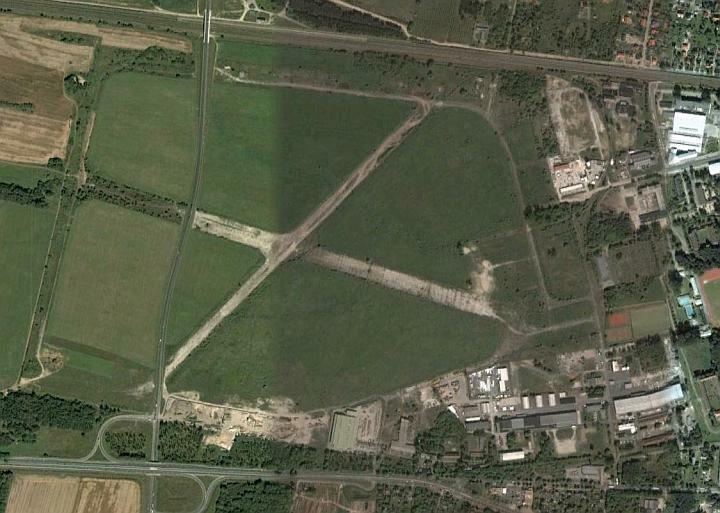 The runways and many of the airfield builddings were still intact, albeit in a derelict state. 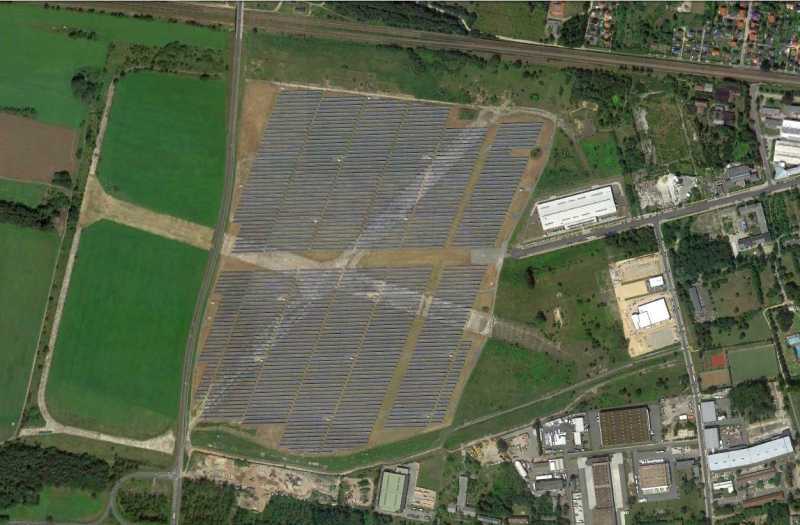 In 2011 Berlin-Staaken was turned into a photo-voltaic powerplant. The control tower in 2017. The side of the building still contains Soviet texts (RonaldV).